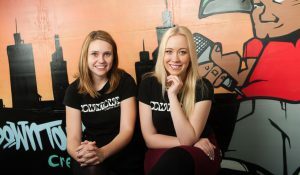 Downtown Creative Studios began as the brainchild of two old university friends, Samantha Perren and Kathleen Maloney. Since Graduating their Bachelor of Music, they both took very separate roads that would eventually lead them to the same destination just 4 years later. Kathleen performed all around the country, completing two national tours in shows and tribute acts. Samantha wrote original music, performed in bands and recorded two original EP’s. The one thing they had in common though, was there passion for teaching music. This is how, 4 years later, these girls came together again in a Milton coffee shop discussing the possibility of opening a music school together. 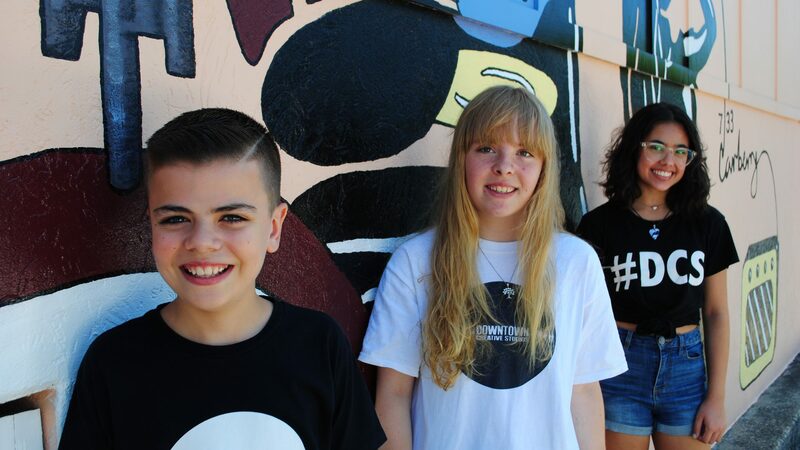 Today Downtown Creative Studios is a thriving music school located in the central suburb of Grange. With teachers to cover every instrument from Drums and Guitar to Violin and Saxophone, Downtown boasts over 120 students eager to learn. Samantha and Kathleen have prided themselves on creating a safe, nurturing and encouraging environment for all students to learn at the own pace and achieve their personal musical goals. If you’re thinking about joining the Downtown Creative Studios family, here’s what to expect! 1. Always put the needs of our students first. We understand that not everyone learns the same way. We accept this and tailor each lesson around the individual students needs and goals. 2. Create a safe and comfortable environment to learn in. We don’t expect you to be the very best at your chosen instrument, especially at the beginning! Our teachers are here to help you improve on your personal musical goals in a safe and nurturing way. We believe performing is the best way to build your musical confidence. At Downtown, we strive to provide as many performance opportunities as possible for the students who wish to partake in them. All of our teachers are highly trained and very qualified to pass on relevant information to students regarding their chosen instrument. Music is there to be enjoyed! We want you to have as much fun learning music as we do teaching it. We hope you enjoy learning from the team at Downtown Creative Studios and we look forward to watching your progress!